Durham Co-op Market Blog Uncategorized Stop for Snacks! Whether you’re honing your impressive cooking skills for a special occasion or meeting up with friends to watch the game, it never hurts to have crowd-pleasing recipes at the ready. We’ve got all the ingredients for your most favorite dishes, plus ideas for some new mouth-watering ideas to try. Find everything you need right here at the Durham Co-op! Nothing melts our taste buds like a flavorful, bubbly pot of fondue. 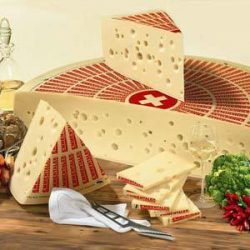 We are featuring our selection of Alpine cheeses from Gourmino, and it just so happens they make the perfect base for this delicious (and easy) recipe. Stop by the Co-op to find what you need, and enjoy this rich dish at home with your foodie friends. The artichoke is a unique plant, packed with flavor as well as nutrients. Knows as an excellent source of dietary fiber, antioxidants, and vitamin C, it also creates the base for delicious appetizers. Fresh artichokes are available for only 2/$3 in the Produce Department, so stop by, pick up a few, and try out this recipe from our very own Produce Manager. 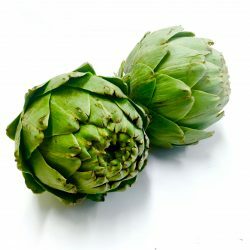 -Wash the artichokes, then trim the tips off of each of the leaves including the top. -Cut off the stems, then peel and them. Toss them in a little lemon juice to keep them fresh. -Run the stale bread through a food processor until you have bread crumbs. -Place the bread crumbs in a large bowl and toss in the artichoke stems and chopped olives, adding Parmesan cheese to taste. Mix all of this together. -Add olive oil and mix until fully incorporated. -Stuff the stuffing in each leaf of the artichoke, working the mixture as far into the middle as possible. -Finally, steam the artichokes in about an inch of water on the stove pot until they are tender. This takes anywhere between 45 – 70 min depending on the the size of the artichoke. You could say we’re on the tasty team, meaning we’re big fans of great food and crowd-pleasing recipes. We can’t get enough of this savory sausage dip, made with only four ingredients, including some from our favorite local vendors and fellow co-ops! Try it out at your next gathering. 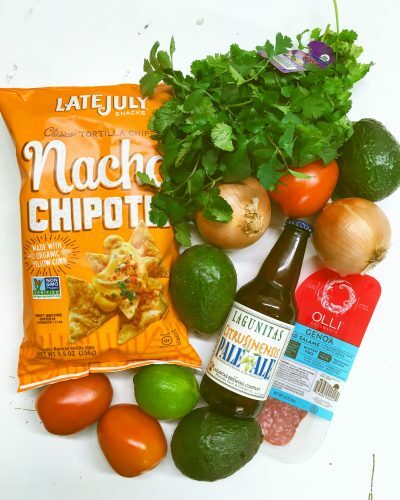 -Serve with your favorite tortilla chips, like Late July Snacks Clasico Tortilla Chips (now 2/$4).